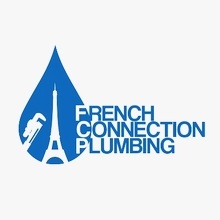 At French Connection Plumbing we pride ourselves in offering quick, reliable and quality services at an affordable price. Serving the Carmichael, CA, area, we provide license professional plumbing, plumbing repairs, 24-hour emergency plumbing services, drain unclogging and more for residential and commercial customers. We have a been in business since 2002 and have a proven track record with home owners and commercial business owners alike. We have 24-hour availability for emergencies such as clogged drains, frozen pipes, pipe breaks or water heater failures. We service all kinds of plumbing issues including leaky faucets, leaky pipes, running toilets, clogged drains, sewer lines, re-piping, gas lines, water heaters and more. Our factory-trained and certified technicians will do their best to get your plumbing problems behind you on the first trip. We stand behind our work with a free 1-year warranty, money back guarantee and a free service call with repair. Please call us at (916) 347-5748 to schedule service. You can visit our website at https://frenchconnectionplumbing.com for more information or to send us a message.